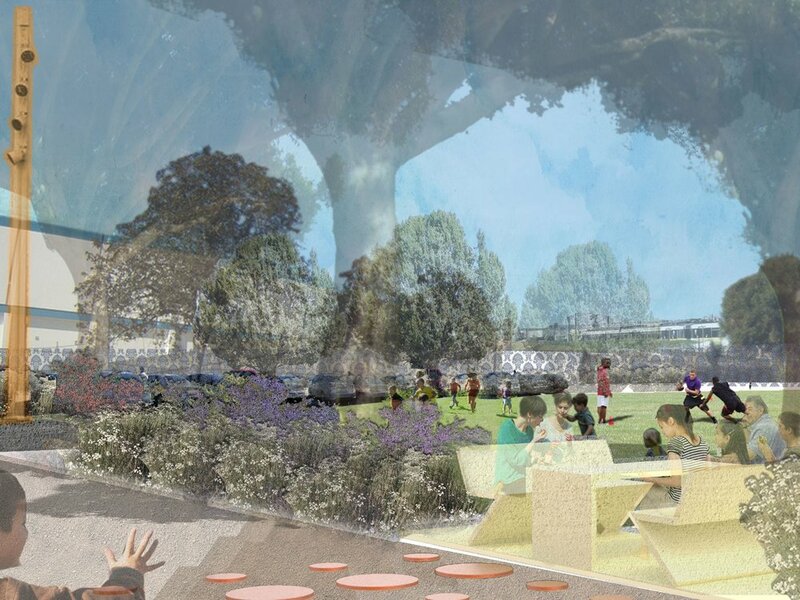 Hood Design worked as the Landscape Architect, with SPF architects, to formulate the competition winning design for the Rancho Cienega Sports Complex. With the removal of the existing pool facility and the reconfiguration of the parking, the park is brought to the street creating an identity for the complex as space for sport embedded in nature. It is recreation set within a botanical garden that samples California ecotones. The future facilities are concentrated in a band in the heart of the site, reaching visually from one end of the site to another forming gateways to the park beyond and creating a dynamic visual presence that is clear and inviting from the expo and rodeo.